When U.S. shareholder gatherings get moved far from corporate headquarters, it often portends trouble, new research suggests. Ensuing results and stock performance tend to disappoint, as occurred with auto-parts giant TRW. Owners could save the trip and vote with their feet. 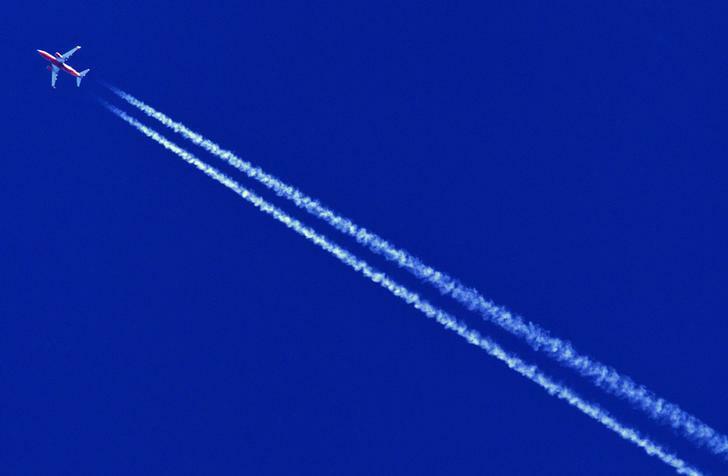 An airplane leaves vapour trails as it flies over Memphis May 3, 2014. U.S. companies that move their annual meetings more than 50 miles from headquarters or a major airport often announce disappointing earnings in the following months, and their stock tends to perform poorly, a working paper published by the National Bureau of Economic Research has found. The study by David Yermack of New York University and Yuanzhi Li of Temple University looked at 9,616 annual meetings and 268 special shareholder meetings held by 2,342 U.S. public companies between 2006 and 2010.